Dreft Laundry Stain Remover is specially formulated for tough stains on children’s clothing, bedding and blankets. Its advanced cleaning system can safely remove stains and odors caused by formula, spit-up, food, diarrhea and more. Dreft does not harm the flame resistance of children’s sleepwear. The mother sized bottle, safely removes stains and odors caused by formula, spit-up, food, diarrhea and more. Instant stain removal, when used following directions, removes stains better than other leading brand instant stain removers. The ‘baby’ sized bottle, great for travel and in the diaper bag, safely removes stains and odors. Dreft Laundry Stain Remover 24 Ounce is rated 4.6 out of 5 by 71. Rated 4 out of 5 by littlepinkheart09 from Perfect for homes with babies! I got a free sample of this to test out in exchange for my honest review. The experiences and opinions are my own. 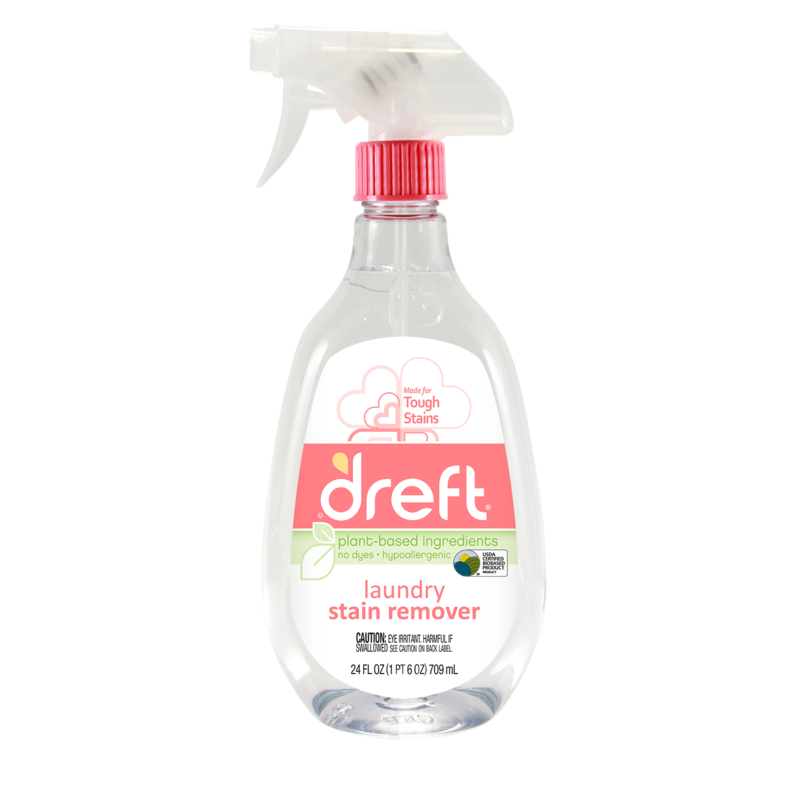 I've used this Dreft laundry stain remover in the past and it's always worked wonderfully. It's still great at fighting stains today. I have 2 young babies (2 years & 9 months) so stain removers are a must in our house! Although this didn't remove all the food stain when the stain was able to set, it does a great job at removing stains when you get them right away. It did remove some of the set in stains too, just not all of them. This stain remover is perfect for babies because it doesn't have a strong scent that could irritate their skin. We love Dreft for all our baby laundry needs! Rated 1 out of 5 by Cora from Once Impressed, Not So Much Now :[[[ I been buying the 22 oz bottle of Dreft Laundry Stain Remover for about 2 years ago. I'm hooked. It was my go to laundry stain remover for everything. LOVED IT as it worked fabulous. I keep buying the bottles. However, all you can get is the new and improved 24 oz bottles. I'm not a fan + plus they're more expensive per ounce as well. Please bring back the old. Hate doing this but I have to- I'm giving this beloved product 1 star even though it used to be 5+ stars in my book before the change. I've recommended this product to every family member (even gave them a starter pack for Christmas) and to a few friends- all of which have became fans and regular buyer. Sad to see an amazing product get changed. Rated 1 out of 5 by Jenny57 from Not what it used to be I have bought the Dreft stain remover for 3 years because it is the ONLY thing I have found to remove all stains!! And then they changed the formula to the plant based ingredients and it does NOTHING. I will not be buying this again. Please bring back the old formula!! Rated 1 out of 5 by Wolfee313 from Terrible product update I have been using this product for getting out stains and it previously was an amazing product. However, when the formula changed to plant-based I was very disappointed because none of the tough stains in several loads came out. I luckily found a seller on Amazon to buy up a bunch of the old formula. I will be forced to switch to a new product, which is very disappointing given how many people I recommended this product to in the past. Please bring back the old formula and give buyers the option between plant-based and a product that actually works. Rated 5 out of 5 by TheFashionableHousewife from I've always trusted Dreft! I've been a mom for 8 years and I have three children so you can only imagine the stains I've seen. 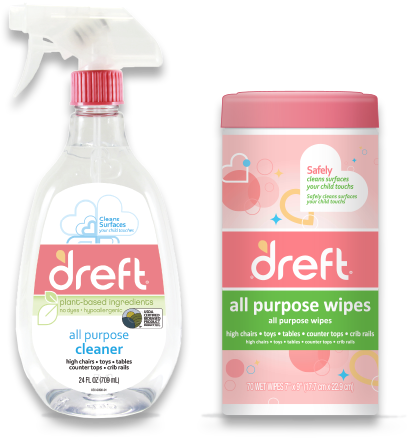 I've always trusted Dreft to get the stains out of my children's clothes including cloth diapers. It works on every stain and doesn't damage clothes. I always recommend Dreft to all my mom friends. Rated 4 out of 5 by CarrieSSH from Worked on almost everything I got this product to review and it came just in time...my baby started solids recently and we all know how much of a mess that can be! I primarily use this product to remove baby food stains on clothing and bibs. I have found that you have to soak the area pretty thoroughly and let it sit for at least an hour, but most every stain has come out. The only one I have trouble with is carrots! Dreft is a favorite in our home and the stain remover is a great addition to the product line. Rated 5 out of 5 by TiaraW from Bye stains! 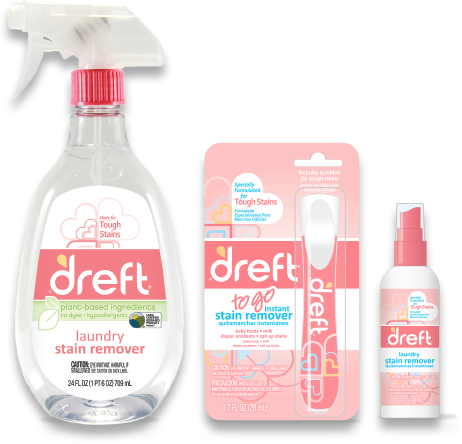 Dreft Stain Remover does a great Job on getting stains out of babies clothes from blow out stains to baby food stains. I always spray and let the tougher stains sit for at least 15 minutes to half hour just to let Dreft do it's job than I throw it in the washer with Dreft detergent and boom! Good as new. I like the nice scent this stain remover has and I like That it's made with no Harsh chemicals, definitely a good buy and great to have on hand when you have a baby.